I'm still slightly shocked that this wonderful month is upon us again! Though you try and prepare before hand, it still seems to sneak up on you. I know the month isn't just about food and eating, or rather the lack of it, it's nice to have something delicious to look forward to before you start fasting again. The amount of time we have to actually eat anything in the UK is so short too, that between not having any space to actually eat anything at Iftar (breaking of the fast) praying taraweeh (the night prayer) and trying to get some sleep, it can sometimes feel like a losing battle between satisfying those cravings, actually nourishing yourself and making sure you're getting enough energy. Let's not even get started on hydration! 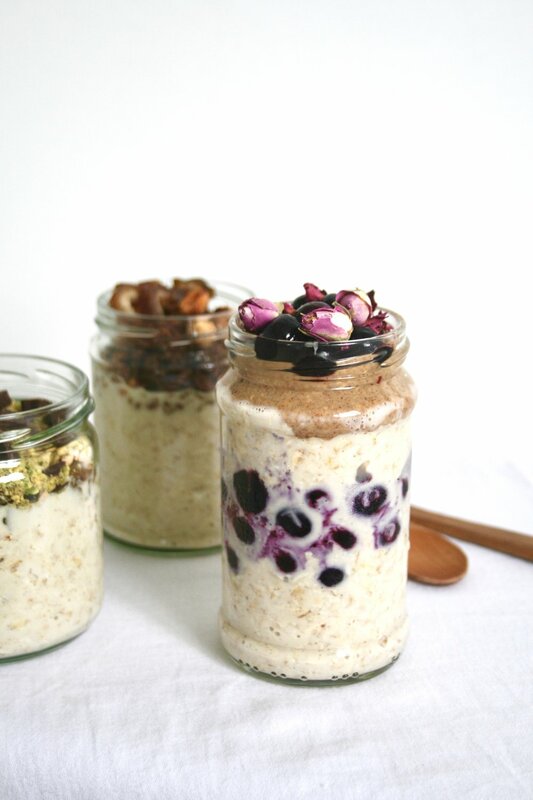 Everyone has to find what works for them, but we all know that oats are a perfect Suhoor food (Suhoor is the last meal eaten before sunrise). They're full of fibre, and keep you going for hours, so for those who's days are long at work or school, they're perfect. Not only are they filling, but they're full of nutrients too, so you can fuel up and make sure you're still staying healthy during Ramadan. These recipes are easy to prepare ahead of time so you don't have to think about making anything at 3am! 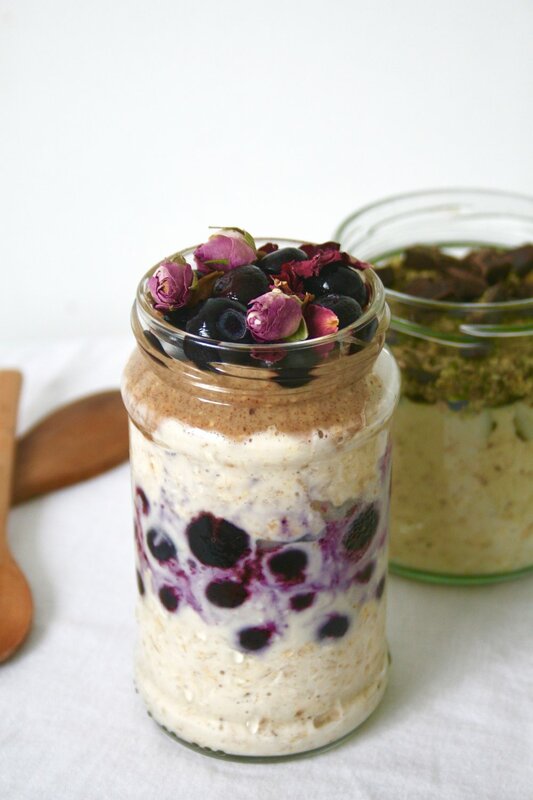 Overnight Oats/Bircher Muesli - Takes 5 minutes to prepare and last about 5 days in the fridge! Chocolate Hazelnut Granola- Need I say more?